At Brisbane Hypnosis Clinic over the past 20 years or more, we’ve helped literally thousands of clients stop smoking successfully. In fact, quitting smoking is one of the most common reasons for clients visiting the clinic as hypnotherapy has long been recognised as an effective way of stopping smoking. The Australian Cancer Council suggests smokers make as many as 12–14 attempts to quit smoking before they succeed. 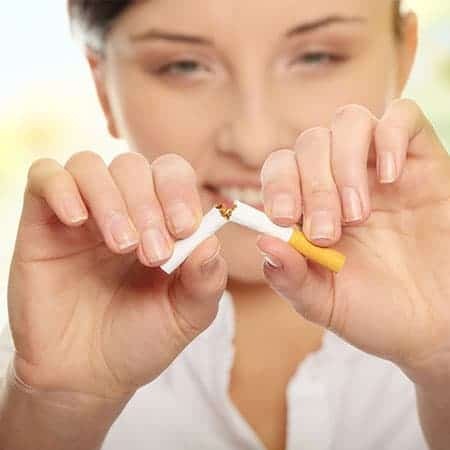 Many people who complete the Smoke Free program at Brisbane Hypnosis Clinic have tried nicotine patches, laser therapy, acupuncture and even drugs such as Zyban or Champix. If you’re reading this because you’re a smoker, the chances are that you’ve tried one or more of these ways of quitting smoking. These may not worked for you and this is one of the reasons you have enquired about Smoke Free. One reason why people often try to give up smoking and don’t succeed is because they don’t take into account that quitting smoking involves both mind and body. Successfully stopping smoking is not just about overcoming nicotine dependency, you also need to overcome both the habitual and psychological dependencies and doing so will ensure that the change in your habit patterns are both permanent and painless. Click here to learn more about these three aspects of quitting smoking. Unlike other methods, our Smoke Free program will help you to overcome all three dependencies associated with smoking. evaluating your particular circumstances and answering any questions you may have and; a hypnotherapy session preparing you to quit smoking. This session is particularly important because every client we see is unique and it is important that therapy is individualised. Your hypnotherapist will also give you a CD to use in between session, this audio program reinforces what was achieved during the first session. Your second session will usually be a week or so after the first and after this hypnosis session you will leave the clinic an ex-smoker. Most clients have no desire to smoke, no unpleasant withdrawal symptoms and no difficulty in remaining long-term ex-smokers. One session or two session programs? There’s been a lot of hype and discussion about “Quit smoking in 60 minutes – guaranteed” franchise advertising over the past little while. Without going into the ethics of such statements, we are often asked why as our clients to quit smoking over two sessions rather than one. The simple answer is experience and results. Some years ago we regularly did single session stop smoking programs but our experience over the 20 years we’ve been helping people successfully quit smoking. is that a personalised two session program is much more effective in the long term, and the long term is what we are interested in. We want you to be an ex-smoker for life. In addition to this, our personalised two session program is significantly less expensive than most “Quit smoking in 60 minutes – guaranteed” programs we’ve seen advertised. Brisbane Hypnosis Clinic offers single session programs for clients who travel long distances to see us, or for those who may have previous experience in hypnotherapy and we are always happy to discuss what would be the best option for you. For these clients we usually do a significantly longer session. What we are most interested in is finding what will work best for each individual client, then using hypnotherapy to achieve a lasting result for our clients. For an average smoker, buying a pack of cigarettes a day, Smoke Free will pay for itself very quickly given the rising costs of cigarettes. 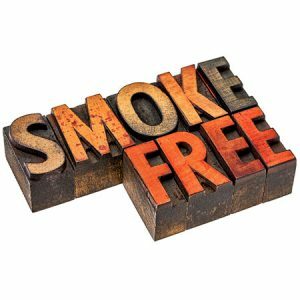 Smoke Free has been developed over more than 20 years by experienced therapists specialising in this area. Many years of experience and 1000’s of clients who have successfully quit smoking have shown that the way the program is structured in the most effective way of quitting smoking using hypnosis. Click here for frequently asked questions about the Smoke Free program. To make an appointment to quit smoking permanently using hypnosis simply call New Farm Hypnotherapy Clinic on 07 3254 1373, complete the form below or email appointments@brisbanehypnosisclinic.com.au. E-cigarettes: are they a good idea? One in every two smokers will die early as a result of smoking. Many long term smokers will die in middle age due to smoking related illnesses. Quitting at any age is worth doing and will increase your life expectancy and improve your quality of life. The benefits start straight away so that after only a few weeks without smoking your risk of heart attack begins to reduce and your lung function improves making breathing and exercise easier.